WESTPORT — What does a utopia really look like? That is the question Westport students recently tried to answer. 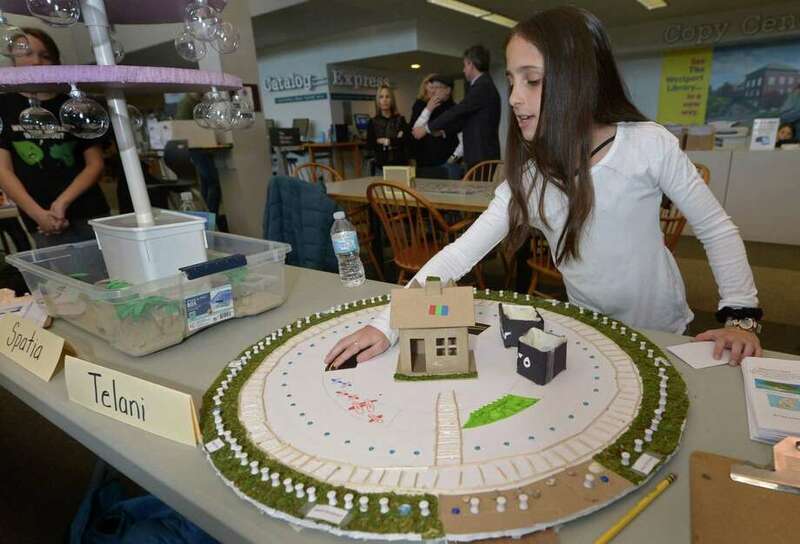 The students from Coleytown and Bedford middle schools presented their creative “Utopia” projects at the Westport Library on Jan. 18. For the Utopia projects, the students spent two months designing a unique and efficient ideal society and then selected a geographic location, researched the natural resources of their selected location, and considered how to design a society that would sustain a population of 5,000 diverse individuals.